Overall, this 4-plex is in need of some substantial repairs and updates for safety and reliability. Please see the attached list of repairs in this report. I suspect most of the value here is in the land as repairs needed to the building will require a significant investment to make the units safe and reliable for occupants. The overall goal of a home inspection is to help insure that your expectations are appropriate with the house you are proposing to buy. To this end we assist with discovery by showing and documenting observations during the home inspection. This should not be mistaken for a technically exhaustive inspection designed to uncover every defect with a building. Such inspections are available but they are generally cost-prohibitive to most homebuyers. This report is designed to deliver important and technical information in a way that is easy for anyone to access and understand. If you are in a hurry, you can take a “Quick Look” at our summary page and quickly get critical information for important decision making. However, we strongly recommend that you take the time to read the full Report, which includes digital photographs, captions, diagrams, videos and hot links to additional information. Denotes the presence of wood destroying organisms or conditions conducive to wood destroying organisms. Conducive conditions include but are not limited to, inadequate clearances, earth/wood contact, cellulose debris, inadequate ventilation, and excessive moisture. All observations with WDO are relevant to a WA State pest inspection. This report includes a structural pest inspection embedded within the report. All observations in this report that begin with WDO are a part of a WA State Pest Inspection. Orca Inspection Services LLC employs Dylan Chalk, Licensed Structural Pest Inspector # 65540. Please note that most WDO observations are related to high moisture conditions that could be conducive to mold-like substances. Orca Inspection Services LLC is not a mold specialist and recommends consulting with an industrial hygienist or other mold remediation expert if concerned about mold or indoor air quality. Pest Inspection Standards in WA State - WAC 16-228-2045 - REQUIRES THAT A DIAGRAM / DRAWING BE PREPARED FOR WOOD DESTROYING ORGANISM (WDO) REPORTS. IF THE PHOTOS AND DESCRIPTIONS IN THIS REPORT ARE INADEQUATE, A DRAWING IS AVAILABLE UPON REQUEST. Whenever further evaluation of a system or component is recommended or whenever due diligence is recommended, this further evaluation or investigation should be done by at least one licensed professional and qualified contractor prior to closing as there is a chance of hidden costs or problems associated with the system or component in question. Where moisture meter testing is indicated in this report a Protimiter Survey Master Dual Function was used. (PWDO-1) Major Concern: Extensive rodent contamination and damage was noted in the crawl space. Hire a rodent control specialist to further evaluate and implement repairs as recommended to exclude rodents and remediate damage and contamination. Repairs should include sealing all openings, setting and monitoring traps and remediating all contamination. Once rodent contamination has been cleaned, be sure to check wiring for physical damage as rodents can chew wiring which can create unsafe conditions. (CS-7) Major Concern (WDO): Moderate water was noted in the crawl space. This condition may change seasonally, or with rain intensity. Moisture is bad for crawl spaces and can lead to interior molds, structural settlement and wood destroying organisms. Hire a drainage specialist or qualified contractor to further evaluate and correct this condition. Also see the Drainage section of this report for observations regarding exterior drainage repairs that are needed. Voltage was measured at 120/240 - showing 244.8 here. Openings were noted in this panel that need to be sealed - house panel. White-insulated conductors used as hots are not correctly identified. Long screws have been used to attach the dead front cover. This is a safety hazard. Wiring has not been correctly run into the panel through a concentric knockout. Double tapped breakers noted - one one tap / breaker unless it is an approved breaker, which these are not. Note the black stains on the sub-floor insulation which indicate air leakage through the sub-floor. Signs of white fungal rot visible through east side soffit vent. (EG-1) Major Concern (WDO): The exterior siding needs to be re-painted in the near term - see especially the exposed gable ends. (G-6) Major Concern: Corrosion was noted on the metal stairs. In places this is progressed. Difficult to predict when this will become a structural hazard,. I recommend additional inspection of the metal stairs by a qualified contractor. Repair or replace the stairs as recommended. (G-9) Major Concern (WDO): The SW corner of the entry deck is rotting and requires immediate water damage repair to insure safe performance from this deck. I would consider removing this odd enclosed storage space. (SB-2) Repair (WDO): This foundation has old wooden form ties between the footing and the foundation stem wall. These are now rotting and could allow an opening for water or rodents. I recommend removing all old wooden foundation cleats and sealing with hydraulic cement as needed. 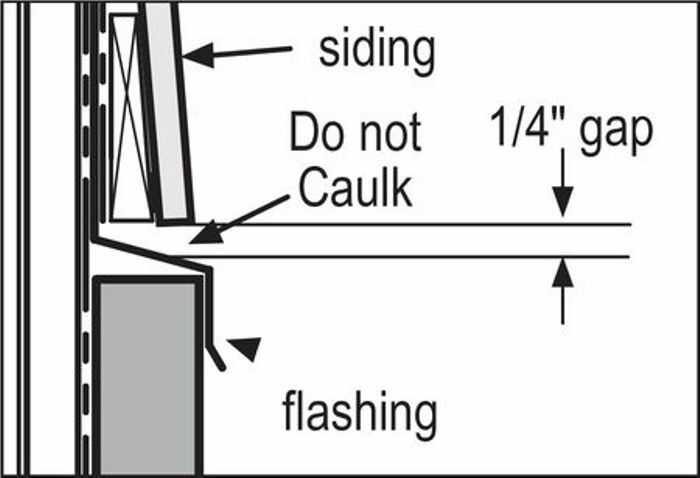 (CS-1) Repair (WDO): Repair the wood rot at the crawl space access door - use pressure treated lumber for repairs. (CS-2) Repair: The crawl space access hatch does not look rodent proof. Rebuilding is recommended to eliminate a rodent entry point. A nice way to seal the opening is to build a frame of pressure treated wood that fits snugly into the opening in the foundation and then cover this with 1/4 wire mesh. (CS-3) Repair: The current vapor barrier in the crawl space is rodent-damaged. Replace vapor barrier. Use 6 mil black plastic to cover all exposed earth. (CS-4) Repair (WDO): Crawl space vents are currently blocked by insulation - NE corner. Use cardboard baffles that mount onto the floor joists to pull insulation away from the vents and allow proper ventilation. Seal up vents with 1/4 inch wire mesh to prevent rodent entry. (CS-5) Repair (WDO): A rodent entry point was noted at the damaged crawl space vent screen - SE corner. There are seems to be some rotted wood here. Repair the screen and wood around the vent as needed. (E-3) Repair: Surface run non-metallic sheathed cable was noted for every bath fan. This wiring is subject to physical damage and needs to be re-run inside a wall or protected by a raceway or armory. Also, note in unit #2 the exposed wires that were not properly run into the fan fixture. (E-5) Repair: Surface run non-metallic sheathed cable was noted to the kitchen fan in #3. This wiring is subject to physical damage and needs to be re-run inside a wall or protected by a raceway or armory. (E-6) Repair: The use of GFCI (Ground Fault Circuit Interruption) protection is inconsistent with modern minimum standards for safety - see kitchen countertops especially. GFCI protection is recommended for the electrical receptacles in the following locations: all kitchen countertops, bathrooms, exterior, garage, unfinished basement, laundry and all wet and damp locations. GFCI's protect against electrocution by limiting the duration of an electrical shock. These are an important modern safety feature. Hire a licensed electrician to further evaluate and update this home's system for improved safety. (E-7) Repair: The GFCI protected receptacle in bath #2 did not respond to testing and may be defective - it did not trip when tested. Have this receptacle repaired or replaced as needed. (E-8) Repair: Reverse polarity was noted at the electrical receptacle in the kitchen of #1. This is when the hot and the neutral have been wired backwards. This is a safety issue that should be corrected by a licensed electrician. (E-9) Repair: I recommend having the smoke and carbon monoxide alarm system serviced and checked. I saw some missing smoke alarms and disabled CO alarms. (E-10) Repair: Have the electrical bonding and grounding system checked by a licensed electrician. Adequate bonding could not be verified at the main water or the water heater and I found no ground rod outside. This is an important safety feature to prevent electrocutions and insure proper discharge of surges. (HCF-1) Repair: Some of the baseboard heaters in this building have electric receptacles located above the electric heater - see #2. This is not to modern electrical standards and is a latent fire hazard as electric cords can dangle over the heaters and lead to overheating. The most cost-effective way to correct this configuration is to re-locate or alter the type of heater. Often baseboard heaters are replaced with wall-mounted forced air heaters. Consult with a qualified heating contractor or electrician to further evaluate and repair. (HCF-2) Repair: The heating system in #4 seems to require repair. I only found one heater working in the bathroom. The unit was cold. There was a plug in heater in the bedroom. Due to all the stuff in the house, I could have missed a baseboard heater? Repair heat in this unit so all heaters are operating. (HCF-3) Repair: The electric wall mounted forced air heater was not responding to normal operating controls and appears to be defective / inoperative - bath #3. Hire a licensed electrician to further evaluate and repair or replace this heater. I would also be sure all bathroom heaters are GFCI protected as these are in damp locations. (P-2) Repair: The Polybutylene (PB, gray plastic) supply hoses and angle stops noted below several sinks are an unreliable plumbing product with a reputation for failing fittings - see below kitchen sink in #3. Updating to copper or braided steel supply hoses and new angle stops is recommended. These are common to find in 1990's era buildings. Consult with a licensed plumber to further evaluate and repair. (P-5) Repair: Install listed seismic straps to support the water heaters in the event of an earthquake; none were noted during inspection on any of the water heaters. Two straps should be located on each water heater: one on upper 1/3rd of tank and one at the lower 1/3rd. (P-7) Repair: The discharge tubes for the water heater relief valves are inadequate only one of the water heaters has a proper discharge tube. Discharge tubes should always terminate by pointing toward the ground to eliminate a scald hazard and should be between 6" and 18" off the ground. Ideally, the discharge tube terminates to an exterior or unfinished location or above a drain, though this is not always possible. The drain should also slope to drain to prevent water pooling inside the discharge tube. (P-9) Repair: The hose bib at the east side is poorly mounted to the siding. This could cause leaks in the siding around the hose bib and could allow the hose bib to become loose during operation. Hose bibs should be securely mounted to blocks that are lead into the siding and which are properly flashed or caulked. (P-11) Repair: The exterior dryer exhaust duct cover is missing a baffle. This vent cover needs to be repaired or replaced so that a baffle covers the opening when the dryer is not in use. Please note that a screened cover is not recommended for dryer exhaust duct terminations as this can trap lint. (P-12) Repair: Plastic dryer transition duct was noted in use to connect the dryer to the rigid vent. This product is not recommended as it has proven to be unreliable and a potential fire hazard. Improvement to a corrugated metal flex duct is recommended. (B1(1)-1) Repair: The stopper to the bathroom sink is missing - install proper stopper system. (B2(1)-1) Repair: The bathroom toilet in #2 needs to be reset and the wax ring and flange should be inspected and replaced as needed to prevent hidden plumbing leaks. High moisture meter readings were taken around the toilet, indicating there is a possibly of hidden water damage. It is difficult to determine the extent of needed repairs without further investigation. The toilet appears to be well mounted as it is not very loose on the floor. Repairs can be as simple as replacing a wax ring and caulking or more complex if repair of the bolts, sub-floor, waste line or flange are needed. This could also relate to shower leakage or occupant behavior. Hire a licensed plumber to further evaluate and repair as needed. (B3(1)-1) Repair: The plastic sink in the bathroom #3 is cracked and should be replaced for reliable performance. (B3(1)-2) Repair: A slow drain was noted at the bathroom sink #3 indicating that an obstruction may exist or the venting is inadequate. I did note some gurgling / bubbling during draining, a red flag that can indicate inadequate venting. Have this drain further evaluated and repaired by a plumbing contractor. (B3(1)-3) Repair: The bathtub / shower drain in #3 is slow and appears to be obstructed. Hire a plumber to further evaluate this drain line and repair for adequate drainage. (B4-1) Repair: The bath fan in the bath is dirty - #4. Cleaning is recommended to insure reliable performance. (B4-2) Repair (WDO): Water damaged finishes were noted around the bath tub in bath #4 - see also high moisture meter readings. This is often caused by occupant behavior. Keep shower curtains closed and well-sealed during showering and bathing. Use of plastic diverters can help to prevent water leaking around the tub. Make efforts to keep this area dry and make cosmetic repairs as needed. (K-1) Repair: Corrugated waste pipe was used to drain the kitchen sink in #1 and #4. This in an unlisted plumbing product. Use smooth wall pipe only. Hire a licensed plumber to further evaluate and repair as needed. (K-2) Repair: The kitchen sink faucet is leaking and needs to be repaired or replaced - #1. (K-5) Repair: Repair the damaged storage drawer below the electric range in #2. (K-6) Repair: Several burners are not working in the range in #3 and #1. Repair or update these ranges as needed so all burners are operational. (K-7) Repair: An anti-tip device is needed to prevent this range from tipping during operation of the oven door - see #3 and #1. This is a small clip that secured the back adjustable feet of the range to the floor. (I-1) Repair: A cracked tile was noted in the floor during inspection - see entry of unit #4. Have cracked tile replaced by a tile specialist. (I-5) Repair: All of the fan ductwork is poorly run. I would update all bath fans with quality fans that provide reliable ventilation. (RA-2) Repair (WDO): Repair all of the loose / poorly secured downspouts - see failing downspout at SW corner. Many of the downspouts are not well secured to the home and are vulnerable to disconnecting. This could lead to water damage. Tune up all downspouts to insure they are reliably secured. (EG-3) Repair (WDO): Mildew was noted to be growing on the wood outside on the eaves where the roof overhangs the building. This is from condensation and though typical, excessive mildew can be indicative of a wet lot or moisture coming off the ground around the building. When re-painting use chemicals such as bleach to kill the mildew and re-paint using mildew resistant paints. Always try and keep soils around the building as dry as possible by controlling roof and site drainage. (EG-4) Repair: The exterior back deck doors to both upstairs units are not closing or closing well and seem to need adjustment or updating. (EG-7) Repair (WDO): The water proofing for the deck is in poor condition and requires replacement. Hire a qualified general contractor familiar with deck water proofing to further evaluate this condition and repair as recommended during other deck repairs. (G-1) Repair (WDO): Downspouts are discharging adjacent to the foundation - west side. This can cause foundation settlement or crawl space moisture problems. Make sure all downspouts discharge into a proper tight-line system or at least 5 feet away from the foundation. (G-2) Repair: The driveway flatwork is being damaged by tree roots - see south side. This has created an un-level surface that can be a trip hazard. Repair can be complicated as the tree grows. Repair as desired and is cost effective and use caution on this walking surface. (G-3) Repair (WDO): All trees, branches and vegetation should be pruned at least six feet away from the house to eliminate conducive pest conditions and rodent entry points. Please note that trees hanging over this house may originate on the neighbor's property. This could present some complications in tree pruning though a general precedent is that you are allowed to prune to the property line. (G-4) Repair: The exterior front stairs are missing a graspable handrail for safety. This should be a round railing 1 and 1/4 inches - 2 inches in diameter. If the railing is not round it must have a finger groove that is 3/4 of an inch down from the tallest point of the rail. The graspable handrail should also be 1.5 inches from the wall. 2x material is not considered a graspable handrail. Have a qualified contractor build suitable railings to reduce the potential for falls. (G-5) Repair: The guardrail system for the front stairs is inadequate and not done to modern safety standards. All stairs greater than three steps should have a guardrail with openings no larger than 4 inches - railing should be 36 inches high. Hire a licensed general contractor to further evaluate and repair. (G-7) Repair (WDO): The deck railings require localized sanding and filling and painting - see where moss is growing out of the wood. (G-8) Repair (WDO): The base of one of the deck posts near the laundry is rotted and requires repair as a part of other exterior carpentry and stairs repairs. (G-10) Repair (WDO): Localized areas of rot and loose and damaged fencing was noted - see east side. This is characteristic of older fencing. Updating the fence is recommended to repair the fence and eliminate a condition conducive to wood destroying organisms. (SB-3) Improve: As always with older homes steps can be taken to improve the seismic stability of this home. Improvements include bolting the home to the foundation, adding sheer panels to pony walls and installing positive connections between posts and beams. Consult with a licensed general contractor or company specializing in seismic retrofits to further evaluate and improve the structure. (CS-6) Improve: No positive connections were noted connecting the posts to the footings in the frame of the house. This is a standard practice in older construction, but makes the home more susceptible to seismic damage. Positive connections are recommended. Hire a general contractor to further evaluate and repair. (E-2) Improve: AFCI (arc fault protection) is now required on all branch circuits supplying outlets or devices installed in residential dwelling unit kitchens, family rooms, dining rooms, living rooms, parlors, libraries, dens, bedrooms, sunrooms, recreation rooms, closets, hallways, laundry areas, and similar rooms and areas. The goal of this protection is to reduce risks of electrical fires. Consult with a licensed electrician about improving circuit protection as desired. (P-6) Improve: An expansion tank is recommended for the water heaters. This helps reduce pressure on the plumbing system when the pipes and water expand from heating. Installation of expansion or pressure tanks is modern installation practice and will be required if you install a pressure reducing valve. Consult with a qualified plumber to install. (K-3) Improve (WDO): A ductless exhaust fan was noted for the cook-top. Installation of a fan that ducts to the exterior is recommended to remove moist air to the exterior. Please note that if you switch to a gas range or cooktop in the future, a fan that ducts to the exterior is required. (P-4) Monitor: Much of the waste plumbing used in this building is old. While no leaks were noted at the time of inspection, updating and on-going repairs should be expected. Old metal pipes are subject to internal corrosion which can cause problems at any time. During any renovations to the home be sure to have this old piping evaluated and updated as recommended by a licensed plumber. As a general rule the old cast iron pipe often lasts a very long time - even as much as 100 years, galvanized waste pipe can have a shorter useful service life - sometime 50 years. (EG-2) Monitor (WDO): Inadequate head flashings were noted - see window trim. These are important to divert water around wood trim and to prevent water from running behind the siding. No signs of leakage were found at the time of inspection. Monitor as a repair could become needed. (SB-1) Due Diligence: Parts of the foundation footing system are undermined and require improved support so that the foundation has adequate bearing onto well-compacted soils - see especially by crawl space access. This often involves digging away loose soils until firm compacted soils are reached and filling voids with concrete. Additional inspection and evaluation is needed by a qualified foundation contractor to determine a scope and urgency of repair. In general, there are a number of cracks in the foundation that are likely related to the footings being relatively shallow and on poorly compacted soils. The urgency of repair here will also relate to your long term plans for this building. (P-3) Due Diligence: An evaluation of the sewer line below the ground is beyond the scope of this inspection. Due to the age and location of the building, a sewer scope is recommended to further evaluate the sewer line. (K-4) Due Diligence: Several of the electric ranges are installed right next to the wall. 6-inch clearances are recommended to prevent overheating of wall finishes, though this is usually not required by the manufacturer. Each manufacturer will have different clearance requirements, but they are often 0 for electric ranges. I would verify proper installation form the owners manual. (EG-5) Due Diligence: Older fire-damaged wood was noted for parts of the back deck. A few of the deck jousts have been sistered here, where another joist is added along side the other joist. This is not executed to modern prescriptive deck construction standards. Have this further investigated by a qualified contractor during other deck repairs and repair as recommended. (P-1) Future Project: Budget to replace the remaining galvanized steel supply pipe at some point in the near term and definitely during any remodel work to kitchens, laundry or bathrooms. Roughly 50% of the supply plumbing in this home appears to be galvanized steel - this is just a guess based on what is visible. The average life of this pipe can vary widely, but tends to be between 40-60 years. As this pipe gets old and corrodes, the insides of the pipe fill with rust, causing restrictions in the pipe. This can be tolerated for some time, but eventually the functional flow becomes so diminished that pipe replacement is necessary. At the time of inspection, functional flow was adequate and no active leaks were found. This condition could change or worsen at any time. (P-8) Note: This shows the listing plate from the water heater in #2. (P-10) Note: This building has a coin-operated washer and dryer system. These are beyond the scope of this inspection. I did hear from one tenant that the laundry facilities are not working well and may require repair. (I-3) Note: Please note that mold, mold testing and indoor air quality are beyond the scope of this inspection. If you are concerned about mold or indoor quality, I recommend additional inspection by a specialist. As a general rule, best practices to control mold in buildings are to spend limited resources diagnosing and repairing water problems. Where water problems are chronic, mold problems can be more complex and expensive to correct. Where water problems are localized, mold repairs tend to be more limited in scope and less complex to repair / mitigate. Looks like steel pipe still running to sinks and toilets where visible. Condensation and molds noted around windows in basically every unit. I tested these anomalies with a moisture meter and found high readings. Mold staining at the eaves could be from leaks or condensation - difficult to tell for sure. Copyright © 2018 Orca Inspection Services LLC. All rights reserved. Software by https://getscribeware.com.